In the technologically-savvy world we now live in, you can do just about everything online, including attend college. But for historically black colleges and universities, getting on the web has taken a little longer than some other schools. Enter Tom Joyner and HBCUsonline.com, a site that helps connect prospective HBCU online students with member colleges who provide that service. Joyner, the syndicated host of "The Tom Joyner Morning Show" and a longtime supporter of HBCUs, founded the company nine months ago and has now partnered with Florida Agricultural and Mechanical University (FAMU) and Tennessee State join Texas Southern University in offering degreed educations online. "We thought this thing through, and we had the benefit of knowing how to take the best of what online universities had to offer and what HBCUs had to offer and tailor a program that makes HBCUs online a better experience," Joyner said on the HBCUsOnline.com web site. "We know what a lonely journey online education can be, and we want to warm it up, spice it up, fun it up so that it looks less like an online education and more like a real HBCU experience." HBCUsonline.com will also offer professional certification, including those specific to information technology, aimed to help career professionals advance. Since the site was founded, over 150,000 prospective students have visited the site for information, and Joyner is gratified to announce the formal partnership with three of the country's biggest HBCUs. "Adding FAMU and Tennessee State as part of HBCUsOnline is very exciting," Joyner says. "I want to make sure that African-Americans know that getting an online degree from an HBCU is a better choice. Students take classes from experienced professors and graduates become part of the schools' proud legacy of alumni!" Applications for Fall 2011 are now being accepted. Program specialists are on hand to help prospective students with the application process and any information they may need. HBCUsOnline.com will provide assistance and support to students from application to graduation. Once they are accepted and fulfill the appropriate requirements, students will receive a fully accredited degree from the participating HBCU of their choice. Tennessee State offers two undergraduate degrees and a master's degree program that is tailored to working adults who need to complete or expand their education. Founded in 1912, TSU ranks among the top HBCUs as rated by U.S. News and World Report and has a total student body of over 8,800 students. "Tennessee State University has a diverse student population and offers quality programs to suit the academic and professional needs of its constituency," said TSU President Portia Shields. "Among this population are adult learners who are able to earn degrees online, at night and on weekends." 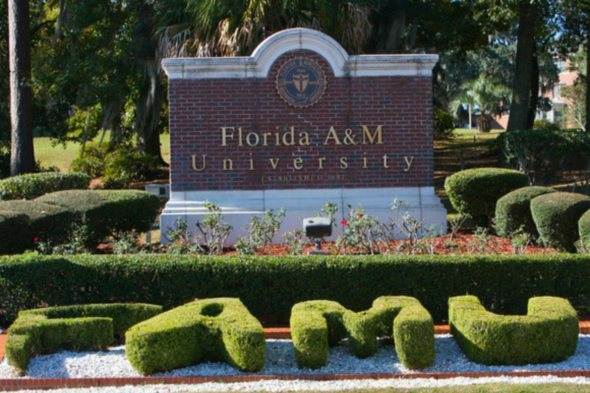 FAMU is the nation's largest HBCU, with over 13,000 students, and is considered the top engineering and natural sciences HBCU overall. FAMU is also the nation's leading producer of African-American pharmacists. Through HBCUsonline.com, FAMU offers three graduate degree programs. "We are looking forward to enrolling students from across the country and around the globe in our online programs so that we can prepare them to pursue their career goals and give them the opportunity to be a part of this great Rattler tradition," said FAMU President James H. Ammons. "FAMU has the programs, faculty and researchers to help students prepare to compete and win in the new economy." Texas Southern also offers three graduate degree programs. For more information on enrolling in these schools, go to www.HBCUsOnline.com.